The US-China trade talks will reach a pivotal phase this week when Chinese Vice Premier Liu He comes to Washington for negotiations with his US counterparts, US Trade Representative Robert Lighthizer and US Treasury Secretary Steven Mnuchin. 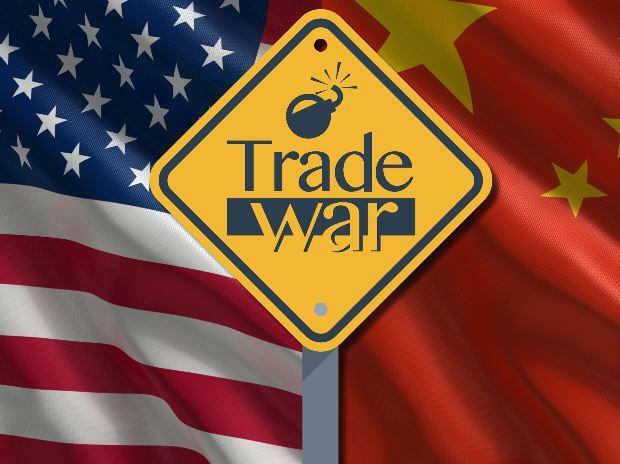 The two sides are trying to resolve deep differences over China's trade and intellectual property practices, industrial subsidies and market access to avert an increase in US tariffs on Chinese goods scheduled for March 2. WHAT ARE WASHINGTON AND BEIJING FIGHTING ABOUT? After years of steadily rising US trade deficits with China and US complaints that Beijing has systematically obtained American intellectual property and trade secrets through coercion and outright theft, the Trump administration last year demanded fundamental changes to China's economic model to allow US companies to compete on a more level playing field. These include an end to policies that Washington claims effectively force US firms to transfer their technologies to Chinese partners and full protection for American intellectual property rights. WHAT'S AT STAKE IN THESE TALKS? At the most basic level, a dominant position in future high-technology industries, according to the US Trade Representative's office. China is determined to upgrade its industrial base in 10 strategic sectors by 2025, including aerospace, robotics, semiconductors, artificial intelligence and new-energy vehicles. US officials say they don't have a problem with China moving up the technology ladder, but they don't want it to happen with stolen or unfairly obtained American know-how. They argue that China's massive support for state-owned enterprises is leading to overproduction, making it hard for US companies to compete on a market-driven basis. HOW DOES BEIJING VIEW THESE COMPLAINTS? Chinese officials generally view the US actions as a broad effort to thwart China's inevitable rise to a dominant position in the global economy. They deny that China requires or coerces technology transfers, saying that any such actions are commercial transactions between American and Chinese firms. At the same time, China is looking to make a deal with Trump to ease U.S. tariffs on Chinese goods and to directly reduce the trade imbalance between the world's two largest economies through increased purchases of US goods, including soybeans and energy. Beijing has also taken some steps to open up to more imports, including lowering tariffs on imported cars and allowing foreign companies in some sectors to own a majority of their operations in China. WHAT ACTIONS HAS THE UNITED STATES TAKEN? US President Donald Trump has imposed punitive tariffs on $250 billion worth of imported goods from China so far -- a 25 percent duty on $50 billion worth of machinery, semiconductors and other technology-related products, and 10 percent tariffs on a broader, $200 billion range of goods that includes many chemicals, building materials, furniture and some consumer electronics. Thus far, Trump has spared many consumer goods including cell phones, computers, clothing and footwear from tariffs. But if no deal is reached by March 2, Trump has threatened to impose new tariffs on about $267 billion worth of goods, effectively the remainder of imports from China. Yes. China has imposed tariffs of 25 per cent on $50 billion worth of US goods, including soybeans, beef, pork, seafood, whiskey, ethanol and motor vehicles. Beijing also has imposed tariffs of 5 to 10 per cent on another $60 billion worth of US. goods, including liquefied natural gas, chemicals, frozen vegetables and food ingredients. So far, Beijing has spared imports of US commercial aircraft largely made by Boeing Co. Since Trump and Chinese President Xi Jinping agreed in December to pursue the current round of talks, China has also suspended tariffs on the US made autos and has resumed some purchases of US soybeans. WHAT HAS HAPPENED IN THE TALKS SO FAR? The United States rebuffed some initial offers by China in the spring of 2018 to increase purchases of U.S. goods, opting instead to proceed with tariffs. In Buenos Aires in December, presidents Trump and Xi agreed to negotiate over structural issues, including "forced technology transfer, intellectual property protection, non-tariff barriers, cyber intrusions and cyber theft, services and agriculture," the White House said in a statement. But there was little progress on these issues at a round of talks among mid-level officials in Beijing earlier in January. Instead, Chinese officials offered to substantially increase purchases of US products in an effort to eliminate the US trade deficit with China over a period of years. WILL US OFFICIALS ACCEPT A DEAL BASED MAINLY ON PURCHASES? Trump has been optimistic about a deal, saying a weakening Chinese economy gives Beijing incentive to negotiate. But the president's advisers say that he will not soften his demands that China makes structural reforms on IP and related issues. Some Trump administration officials, including Wilbur Ross, have tried to temper expectations for this week's meetings, saying that the two countries "are miles and miles" from resolving their trade differences. A key US demand is creating a mechanism for regular reviews of China's progress on following through on any reform pledges that it makes, a plan that would maintain a perpetual threat of US tariffs. WHAT ARE POSSIBLE OUTCOMES OF THIS WEEK'S TALKS? The two sides could report some progress towards a deal through another stalemate on core structural issues would be viewed as a negative sign for a deal by March, and investors would brace for higher tariffs. But trade negotiations often go down to the wire, so a final outcome is not likely before the end of February, and any agreement will need the approval of Trump and Xi. If enough progress is made, the two sides also could decide to extend the deadline and keep negotiating, as often happened during talks last year to replace the North American Free Trade Agreement.